From New York Times bestselling author Lauren Oliver comes a captivating, thrilling novel of fear, friendship, courage, and hope that will leave readers gasping for air. 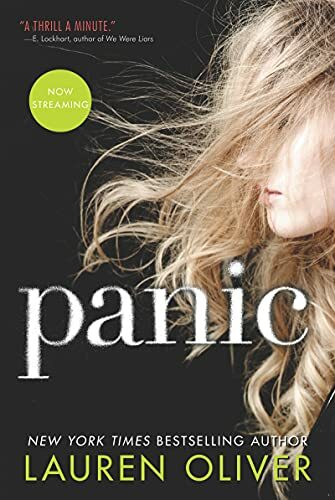 Panic began as so many things do in Carp, a poor town of twelve thousand people in the middle of nowhere: because it was summer, and there was nothing else to do. Heather never thought she would compete. She'd never thought of herself as fearless, the kind of person who would fight to stand out. But when she finds something, and someone, to fight for, she will discover that she is braver than she ever thought. Dodge has never been afraid of panic. His secret will fuel him, and get him all the way through the game; he's sure of it. But what he doesn't know is that he's not the only one with a secret. Everyone has something to play for.